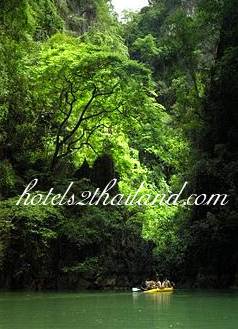 The most abundant mangrove forest located not too far from Phuket Town is discovered here at Bangla. 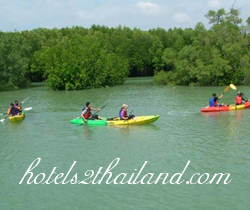 Experience two atmosphere of the sea kayaking and mangrove forest. Offering an amazing opportunity to enjoy a beautiful lifestyle and local wisdom of people who live close to the nature, you will be thrilled with their very peaceful and sustainable way of living, impeccable marine life along canal lined with mangroves. This optional traveling is most reputable because of its abundant natural resources and fascinating scenery where is second to none!